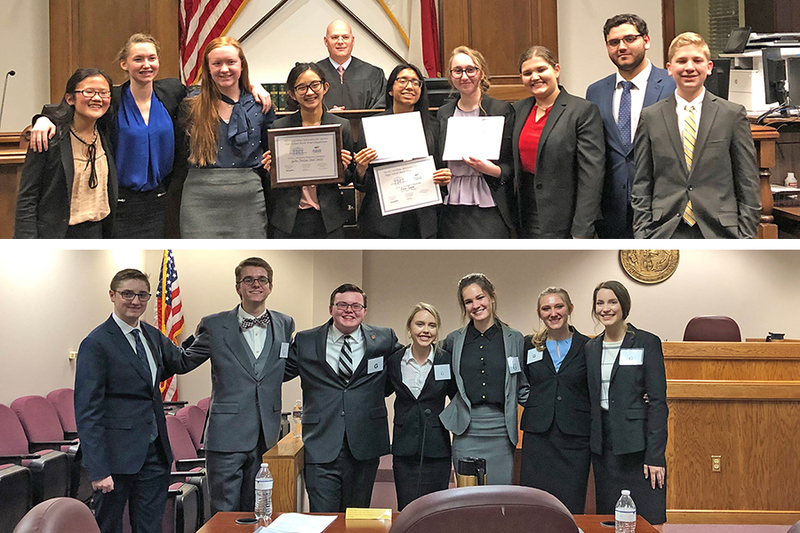 Congratulations to both Mock Trial teams on their strong performances at Regional competitions this weekend. 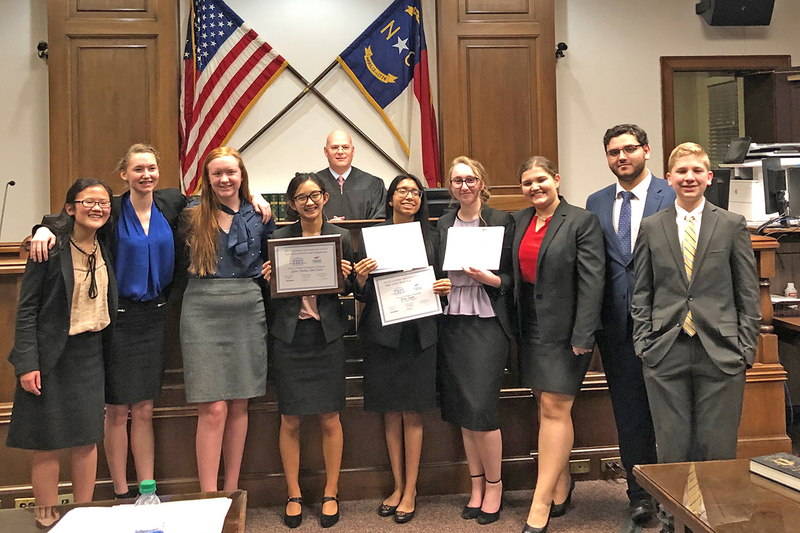 The Red Team competed in Hendersonville; Jacqueline Purtell won Best Attorney recognitions for both rounds of the competition, and Jackson Lee was recognized as a Best Witness for both rounds. Mrs. Christa Pratt is the head coach for both teams; she is assisted by Mrs. Debbie Lee and Mrs. Sheila Loring. GCS Mock Trial Red Team (left to right): Conor Costa, Jackson Lee, Daniel Nivens, Caitlin Laye, Jacqueline Purtell, Isabella Reid and Anna Pratt. 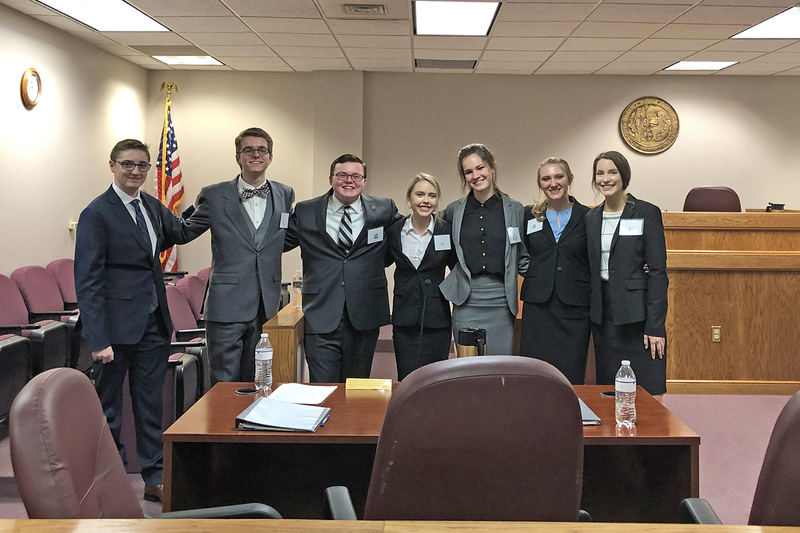 GCS Mock Trial White Team (left to right): Anna Whitlow, Shelby Duncan, Kenna Matheney, Zoe Bergen, Anna Teague, Hannah Cochran, Sophie Seley, Robert Fernandez and Benjamin Tugwell.